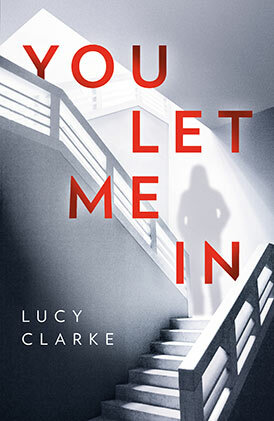 Spine-tingling, chilling, and utterly compulsive, YOU LET ME IN is the stunning new novel from Richard & Judy Book Club author, Lucy Clarke. Maybe it’s all in Elle’s mind? She’s a writer - her imagination, after all, is her strength. And yet every threat seems personal. As if someone has discovered the secrets that keep her awake at night. 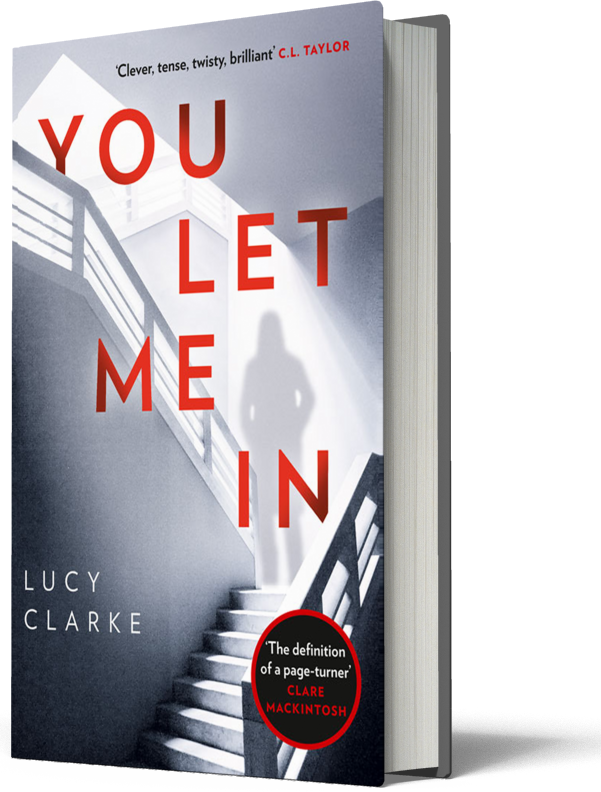 Lucy’s bestselling psychological thriller, YOU LET ME IN, will be released in paperback on 7 February 2019. 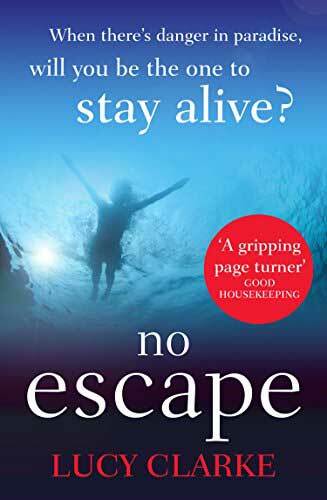 Lucy’s third novel, THE BLUE/NO ESCAPE, set on a yacht in the Philippines, has been optioned for TV by the brilliant production company, New Pictures. More news soon! Lucy was invited to speak at First Monday Crime, along with a host of other thriller panellists, including Lisa Jewell. The hardback edition of YOU LET ME IN is published on 6 September by HarperCollins. 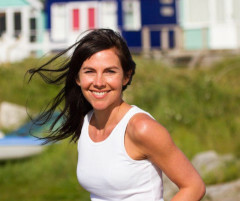 HarperFiction Publishing Director, Kim Young, has bought Lucy's sixth novel. Lucy is thrilled to be working with Kim on her next psychological thriller. 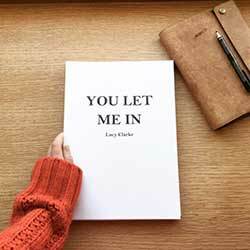 Norwegian publishers V&B have fallen in love with Lucy’s latest novel, YOU LET ME IN, and plan to publish it in 2019. Grada launch Lucy’s fourth novel, complete with a stunningly, eerie cover. Bulgarian publishers, Ergon, have bought the rights to publish Lucy Clarke’s fourth novel, LAST SEEN, which will be due for release in 2018. PiperVerlag, Lucy’s German publishers, have bought the rights to translate and publish her fifth novel, which will be released in 2019. 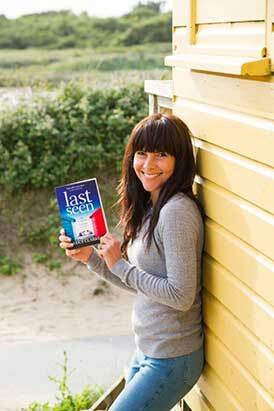 Lucy will be talking about her latest novel, LAST SEEN, at Christchurch Library in Dorset, on 21 September at 7pm. The UK edition of Lucy’s third novel, THE BLUE, has been retitled to NO ESCAPE to position it more firmly in the psychological suspense market. Lucy is delighted to have signed contracts with HarperCollins, who will be publishing her fifth novel in 2018. Publication day is here! 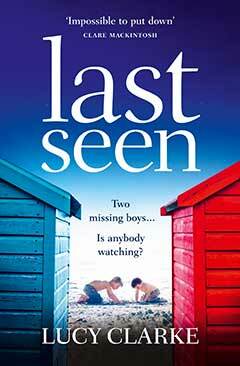 LAST SEEN is available as an eBook on 19 May 2017. The paperback edition will be published on 29 June 2017. Lucy visited Canford School in Dorset to celebrate World Book Day with their Year 10 students. February: Proof copies of LAST SEEN are ready! Early proofs of Lucy’s fourth novel, LAST SEEN, have been sent out to bloggers, authors, and the press. Early reactions are FAB! The book will be published by HarperCollinsUK on 29 June 2017. Norwegian publishers, Apropos Forlag, bought the rights to publish Lucy’s fourth novel, which will be released in 2017. Russian publishers, AST, bought the rights to publish Lucy’s fourth novel, which will be released in 2017. September: A new addition to the family! Lucy Clarke handed in the final draft of her fourth novel to HarperCollins UK, who are due to publish the book in summer 2017. PiperVerlag have released Lucy Clarke’s third novel, titled Das Haus, Das in den Wellen Verschwand. Lucy Clarke will be in conversation with best-selling author, Lisa Jewell, at this year’s Wimborne Literary Festival. Wednesday 18 May, 11.30-12.30pm. Tickets available from Gulliver’s Bookshop: 01202 882677. Lucy’s third novel is to be published in the Netherlands by Ambo Anthos. Lucy is working on the first draft of her fourth novel. The currently untitled book will be released by HarperCollins in spring 2017. Finished copies of the Norwegian edition of The Blue are just in. What a beautiful hardback cover! Lucy Clarke’s third novel, THE BLUE, is released in the UK on 30 July 2015, by HarperCollins. Cosmopolitan chose this ’gripping thriller‘ as their August 2015 Book of the Month. PiperVerlag, Lucy’s German publishers, have bought the rights to publish her third novel, THE BLUE. The book will be due for release in 2016. The UK cover for Lucy’s third novel, THE BLUE, has been released by HarperCollins. PiperVerlag released Lucy Clarke’s second novel, retitled as ‘The Summer When It Started To Snow’. Lucy Clarke attended the Bournemouth Literary Luncheon club as their guest speaker. Simon & Schuster Canada have just bought the rights to publish Lucy Clarke’s third novel, THE BLUE. The title will be due for release in summer 2015, alongside the US edition. 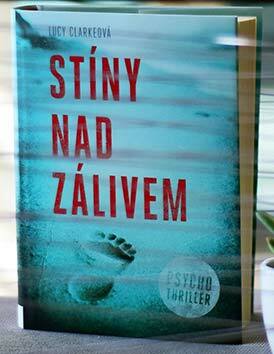 Grada Publishing in the Czech Republic have bought the rights to publish Lucy Clarke’s second novel, A SINGLE BREATH. 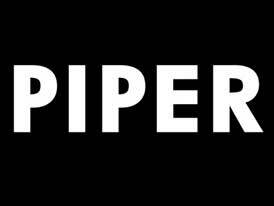 The title will be due for release in 2015. November: Book 3 handed in! Lucy Clarke has submitted the final draft of her third novel to her UK publishers, HarperCollins. The novel - currently titled THE BLUE - will be due for release in the UK in July 2015. Wonderful publishers Apropos have bought the rights to publish Lucy Clarke’s second novel, A SINGLE BREATH. The title will be released in Norway in 2015. A Single Breath – retitled as Ademhalen for the Dutch market, is to be released across Holland on 9 September 2014. Lucy Clarke has accepted an offer from Eest Raamat publishers, who will be publishing A Single Breath across Estonia in 2015. Lucy Clarke was invited to speak to a collection of Reading Groups at her local library, in Tuckton, Dorset. In her one-hour talk, Lucy discussed the process of writing a novel and where the inspiration behind her books comes from. Here is the beautiful cover of Lucy Clarke’s debut novel, The Sea Sisters, which was released in France by Presses de la Cite on 22 May 2014. Touchstone/Simon & Schuster publishes A Single Breath in the US on 8 April 2014. On 27 March, HarperCollins published Lucy Clarke’s second novel, A Single Breath. Fantastic 5* reviews already flooding in, with the Sunday Mirror describing it as ‘A perfectly paced combination of romance and mystery’, and the Sun on Sunday saying, ‘Tense but beautiful, you'll be addicted’. Lucy Clarke will be signing copies of her second novel, A Single Breath, at The Boathouse in Christchurch, Dorset, on 27 March 2014 at 7.30pm. Everyone is welcome! Brazilian publishers, Rocco, release The Sea Sisters this month, with a beautiful interpretation of the book jacket. Hot off the press, beautiful UK proof copies of A Single Breath have landed. The novel is due for release in the UK on 27 March 2014. HarperCollins UK have signed Lucy Clarke to write a further two novels, which will be due for release in 2015 and 2016. On November 12th, Lucy Clarke will be visiting Christchurch Library in Dorset to talk about her debut novel, The Sea Sisters, and how she became published. On October 4th Lucy Clarke will be part of the ‘New Voices’ panel at the Appledore Book Festival in Devon. She’ll be sharing the stage with debut novelists, M.L.Stedman and Gavin Extence. www.appledorebookfestival.co.uk. Russian publishers AST have bought the rights to publish THE SEA SISTERS across Russia. Lucy Clarke is this month’s cover star for the August issue of ‘The Simple Things’ magazine. Simon & Schuster have bought Lucy Clarke’s second novel. It is due to be released in April 2014 across the US and Canada as a trade paperback. Norwegian Publishers Apropos have bought the rights to release THE SEA SISTERS in Norway. Lucy Clarke features on the cover of this month's Writers' Forum magazine. In the interview, Lucy talks about the joys of becoming a full-time novelist and the freedom of the writer's lifestyle. Lucy Clarke’s debut novel has been released in the UK to rave reviews. Cosmopolitan says, "A thrilling and perceptive debut that explores the complex relationship between sisters and loss at its rawest. Trust us, you won’t be able to put it down." Lucy Clarke will be signing copies of The Sea Sisters on Saturday 11 May between 12-2pm at Waterstone’s in Castlepoint, Bournemouth. Come on down and join her! A beautiful, bespoke cover of Die Landkarte der Liebe (the German version of The Sea Sisters), has been produced for Bertelsmann Book Club. March: Swimming At Night out now! The Sea Sisters has been launched in Holland by AW Bruna, under the title 'Nachtzwemmen.' After an auction, AW Bruna bought the rights to the novel, along with Lucy Clarke’s second novel, which will be due for release in 2014. The translated version of The Sea Sisters, 'Le sorelle dell'oceano', has just been released across Italy by fantastic publishers, Neri Pozza. The German edition of the novel, DIE LANDKARTE DER LIEBE, was released on 8 October 2012 by Piper. Fantastic reader reviews are already coming in to Amazon.de and The Lübeck News have described the book as 'intelligently written and a great read'. Lucy Clarke’s debut novel has so far been sold in eight countries: UK, US, Canada, Germany, Italy, France, Holland and Brazil. Germany will be the first to release the novel in Autumn 2012, with the UK, US and Canada following in Spring 2013.